Photo courtesy of D. Higley in the SBU construction office. 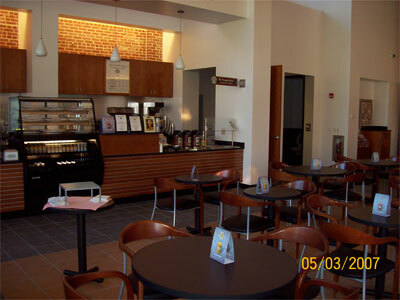 Café La Verna is a coffee shop and deli attached to the Hickey Memorial Dining Hall. It was constructed during the winter of 2006 and the spring of 2007 as part of a major renovation of Hickey. 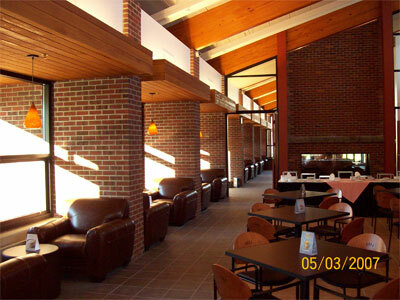 Café La Verna does not simply provide coffee and sandwiches to the campus community; it is also a warm and relaxing environment actively used by students to study and relax with friends, as well as a building that is rich in historic St. Bonaventure detail. Café La Verna is named for the Tuscan mountain retreat given to St. Francis and his followers by Count Orlando of Chiusi in 1213, Francis frequented La Verna in order to meditate and it was there he received the stigmata. 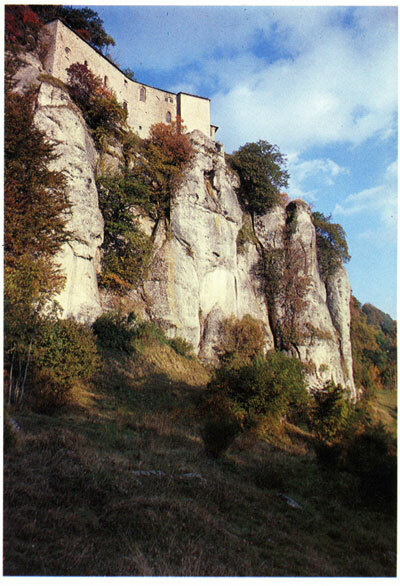 Years later, St. Bonaventure wrote his "Itinerarium" while staying at La Verna. The café name was chosen in a contest held at St. Bonaventure. Teams of students submitted names, and the student body voted to choose a name from the best four. The four choices were: "Javaventure," "Francesco's," "Café La Verna," and "Gubbio Café." 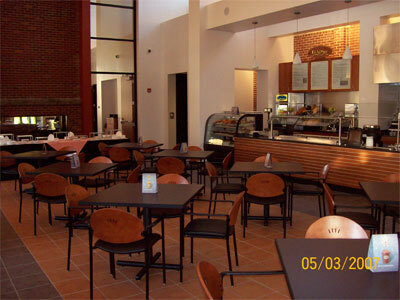 On January 19, 2007, it was announced in the Bona Venture that the name "Café La Verna" was the winner. A plaque in the building commemorates the naming of the café and the names of the winning team members. 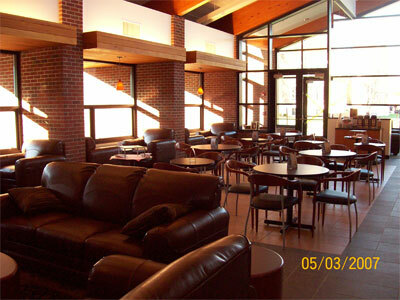 The planned construction of Café La Verna was announced by University President Sr. Margaret Carney, OSF, on February 2nd, 2006. The project was scheduled as part of the renovations to Hickey Dining Hall, with the goal of providing students with a venue to eat and relax. The funding for the construction project was provided through an $8 million, 25-year, tax-exempt public bond acquired through the Cattaraugus County Industrial Development Agency. Construction of the facility began in September 2006 and was completed in May 2007. Café La Verna was designed to be a "green" building, a building that conserves as much energy as possible. For example, the roof line of the café was positioned in order to allow the most natural sunlight possible into the building at all times of the year. The building consists of two halves: the coffee shop side and the deli side. The coffee shop side of La Verna sells a wide variety of Starbucks coffee products, bagels, and other pastries. It also offers a small selection of pre-made salads and sandwiches for students looking for a quick bite to eat. The deli side of La Verna offers a selection of healthier cold sandwiches, panninis, and salads that are made to order. La Verna is not furnished like a typical cafeteria; it was designed as an area where campus community members could not only eat, but relax and socialize as well. Therefore, in addition to small tables and chairs, La Verna is furnished with comfortable lounge chairs and sofas that allow for a friendlier and more intimate environment to meet with one's peers. In 2008, it was announced that the Hickey Dining Hall / Café La Verna complex would be collectively known as the Magnano Center. The deli side of Café La Verna. The coffee shop side of Café La Verna. Photos courtesy of D. Higley of the SBU construction office. Café La Verna's fireplace. The artwork hanging above the mantle is a representation of La Verna, Italy. Photo courtesy of D. Higley of the SBU construction office. 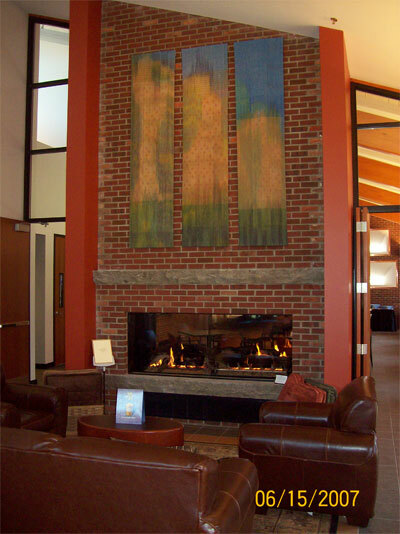 One of the most recognizable features of Café La Verna is the large, two-sided fireplace that sits in the center of the facility. 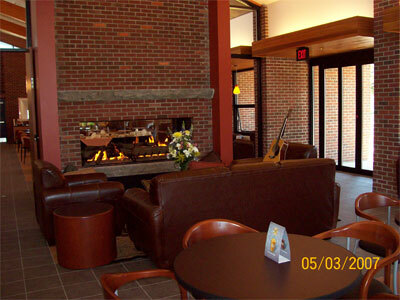 Not only is this fireplace attractive and inviting; it also has St. Bonaventure's history built into it--literally. Some of the bricks used to build the fireplace are actually some of the original bricks that the 1856 Monastery and Chapel, the first building of St. Bonaventure, was built from. When that building was completely destroyed by a fire in 1930, the bricks were moved to the back of the campus to serve as fill, where they lay buried and forgotten. 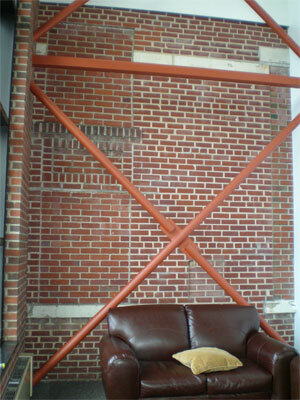 In 2003, while digging the foundation for the construction of the Richter Center, the bricks were rediscovered. As a tribute to St. Bonaventure's history, some of these bricks were incorporated into the construction of the fireplace. Also incorporated into the fireplace are some of the old front steps of Butler Gym, which serve as mantles on each side of the fireplace, and the old landing at the top of the steps of Butler, which serves as the base of the fireplace. The back of Hickey Dining Hall June 1976, showing the kitchens and convent. The first floor wall visible in the photo is incorporated into the structure and design of La Verna. The exposed portion of the wall as it extends from inside La Verna. Note the placement of the cross relative to the 1976 photo. The wall extends into La Verna, where it is incorporated into the building's interior design. Café La Verna is also home to the only element of the original Monastery and Chapel that is still standing. The front part of La Verna sits where the Monastery half of the building once stood. 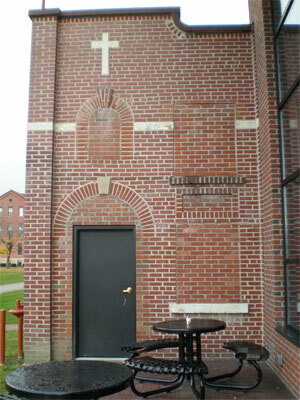 As one enters Café La Verna from the side that faces Butler Gym, one sees an exposed brick wall in the front seating area that extends outside. This wall is the only piece of the Monastery and Chapel that survived the fire in 1930 that destroyed the building. The wall is from the kitchens and convent that were attached to the back of the Monastery and Chapel building. When La Verna was designed, this wall was purposely left exposed and incorporated into the design in yet another tribute to St. Bonaventure's history.